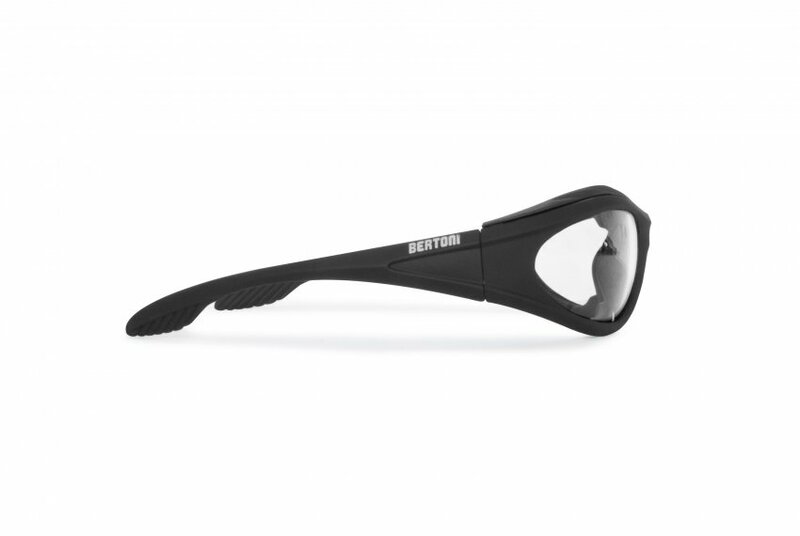 Removable Insert wind and dust protective. 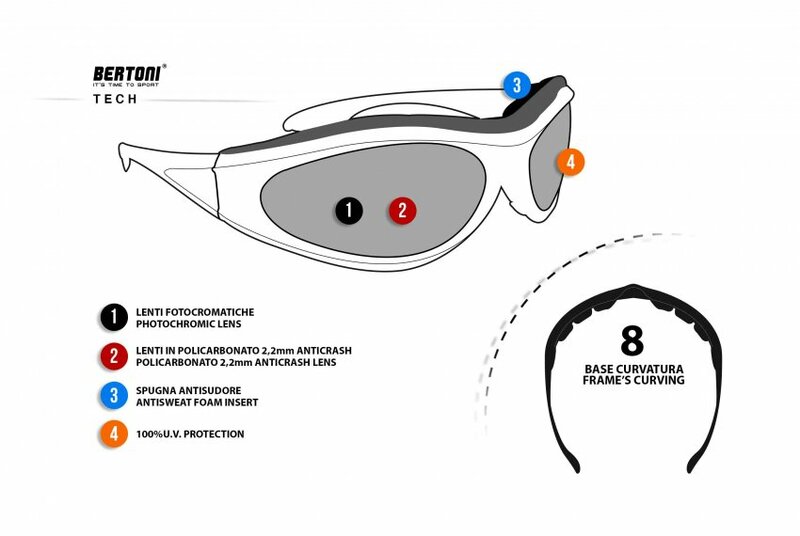 Size: suitable for all types of faces (narrow to large) - Helmet's Friendly. 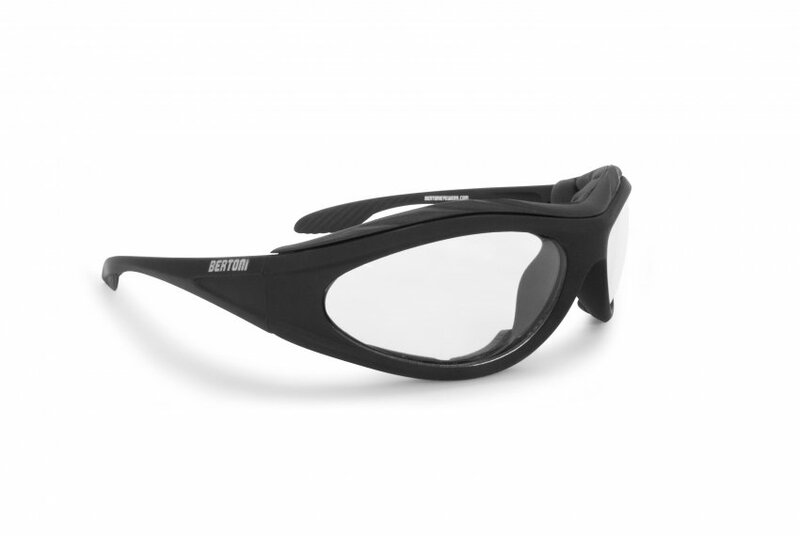 F125: Windproof sunglasses with polycarbonate photochromic lens shock-resistant 2.2 mm. 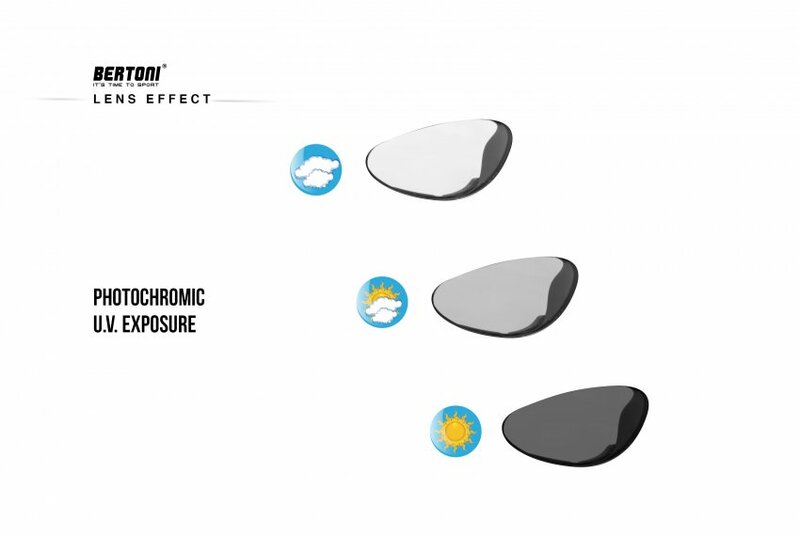 Photochromic lenses in shockproof polycarbonate protect the eyes every day, in the presence of sun, during the night or intermediate weather conditions. 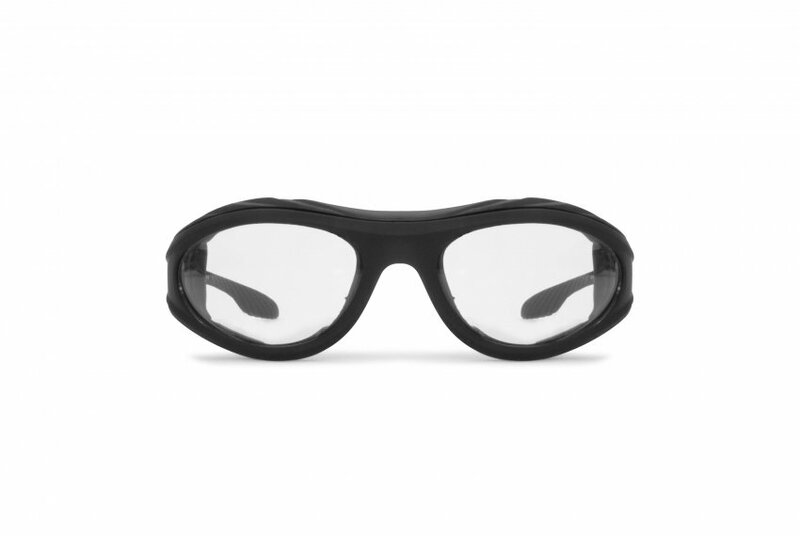 In addition, they are treated with a special resin which removes the condensation that forms on the lens surfaces in the transition from hot to cold. 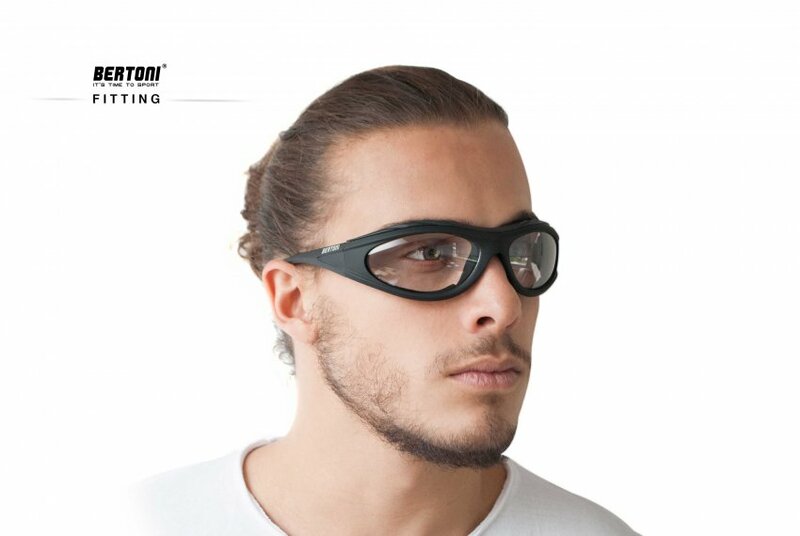 The reaction time of the photochromic lenses is very fast: only 8 seconds to go from light to dark, and 35 seconds from dark to light. 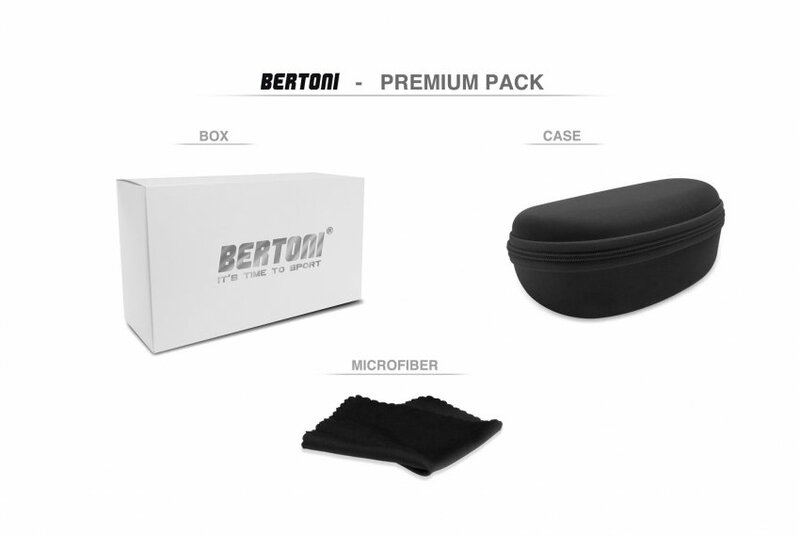 The black color makes it very aggressive and particularly suitable for motorcycles.